As we have kicked off 2018, it’s indeed good time for the companies to give a quick look towards their online marketing strategies and start with following the resolutions for New Year. There have always been too many discussions on the vitality of building a strong enough strategy by the digital marketing blogs. If you wish the New Year doesn’t take the best from you, you should follow some kind of strategy which can determine the goals for your business based on the audience that you’re trying to reach out to. At the same time, it is also vital for the companies to work hard in order to stand out of the crowd. With the improved and new technologies gradually gaining momentum, here are few tips to take the digital strategy of your company to a new level. As per Forbes, the foremost vital step is to review the strategies that you’re using presently if you wish to make improvements. For getting positive results, you have to make sure your commercial objectives and practices for online marketing are on a similar page. There are still many companies where there is a division between digital and traditional departments. You have to take a close look at what you already own and ask yourself about combining these two departments. The key to including videos is to make them personal in nature. As per trends seen in 2017, there is always a spurring demand for personalization of videos and there is also a growing interest for combining video marketing into the sales funnel. When you place a well-designed video to demonstrate the product or service of your company, you can personalize the journey of the customers. This is a brand new way of connecting with customers and leaving back an impact. Are you aware of the fact that 70% of the people reported that they would get to know about a business via an article rather than an ad? Yes, it is true that with the help of exceptional story-telling, you can bring humanly characteristics to your company. One more positive thing about content marketing is that it is cheaper than all other forms of marketing. You can even toggle with creativity because content marketing can take the form of videos to blog posts and can also include infographics. No, SEO is never going to go out of fashion because most of the online users who will search for your company will refer to search engines as the initial port of call. Hence, you have to keep ranking for the marked keywords so as to have a better chance of gaining more attention and trust for the company. If you’re an online marketing blog, you have to devise a strategy on how you should optimize the content of your website. There’s nothing new about live videos but you can’t deny the fact that they are growing by leaps and bounds. 80% of the users reported that they would rather check out a live video instead of going through an entire blog post. As per what Facebook has seen, live videos have garnered 3 times better views than normal content. 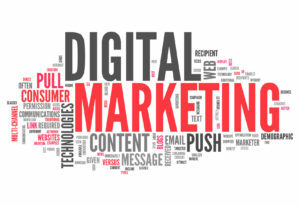 So, if you wish to be like the top marketing blogs, you have to follow the above mentioned points with devising the best digital marketing strategy for 2018.